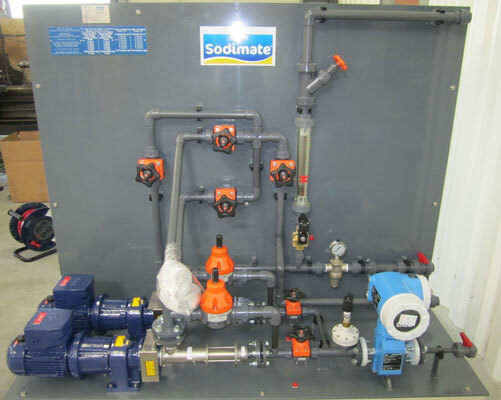 Sodimate’s skid-mounted and pre-piped slurry metering system comes equipped with pumps and all metering accessories needed for easy installation and reliable operation. The system is most commonly used for hydrated lime and activated carbon slurries with concentrations ranging from 2% to 30%. Additionally, the system is configured to work with Sodimate’s slurry tank and can be equipped with a control system to offer a complete slurry package. The skids can be fabricated in corrosion resistant High-density polyethylene (HDPE), carbon steel, and stainless steel. 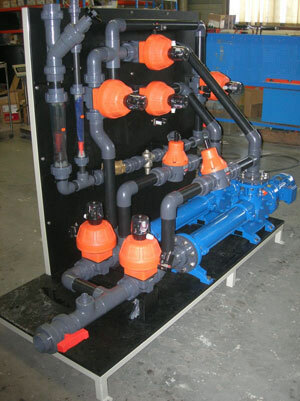 Standard skids come equipped with peristaltic pumps, a mounting panel (with solenoid valves, flowmeters, isolation valves and rinse valves) and all connections needed for slurry metering and transfer. 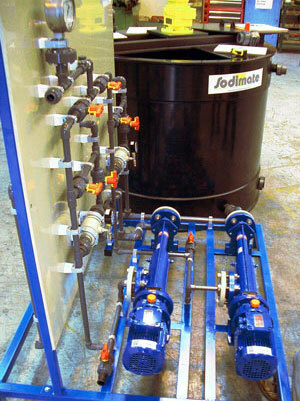 The skids can also include several pumps for redundancy or for multiple injection metering processes.